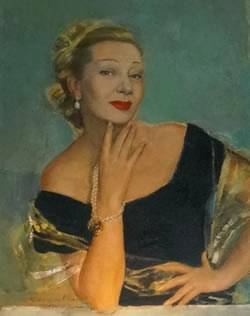 The Gertrude Lawrence Stage, Eventide’s home, was built and named in 1954 in memory of famed stage actress Gertrude Lawrence. Lawrence, wife to Richard Aldrich, a producer/director of the Dennis Playhouse, lived in Dennis when not performing and was active around town and at the DUC. Eventide Theatre Company has sponsored issue-oriented cultural events and performances by local artists since former Dennis Union Church music director, Noel Tipton, founded the group in 1998. His goal was to bring concerts, plays and arts-related lectures to Dennis using the performance space, the Gertrude Lawrence Stage, at the Dennis Union Church fellowship hall. Eventide Theatre Company has since become separate in all respects from the church as an incorporated non-profit 501(c)3 artistic company. The Company maintains a close relationship with and is indebted to the Dennis Union Church for allowing it to rent the space. Eventide Theatre Company has, over the years, upgraded the stage curtains, the lighting and sound systems and recently teamed up with the Dennis Union Church to purchase comfortable upholstered armchairs for the Fellowship Hall/Gertrude Lawrence Stage performances.